Each year, millions of Americans go without needed dental care due to fear or anxiety about their treatment. This is a common feeling, as studies suggest that as much as 75% of the adult population suffers from some degree of dental fear. Plus, as many as one in 10 Americans completely avoid dental treatment because of their overwhelming dental anxiety. If you are one of these people, you no longer have to fear your dental appointments. Dr. Robert Harrell at Adult Dentistry of Ballantyne is a certified sedation dentist who regularly helps patients receive the treatment they need without stress, worry or pain. In fact, he is one Charlotte’s leading providers of sedation dentistry. While all forms of sedation are available, Adult Dentistry patients typically opt for oral conscious sedation, which is as easy as swallowing a couple of pills. State dental boards mandate strict guidelines for the practice of sedation dentistry, and Dr. Harrell is fully licensed and guided by years of experience with hundreds of sedation patients. Sedation is an exploding segment of dental treatment, so it evolves quickly. Adult Dentistry is always up to date with the latest advances in the field. You will meet with Dr. Harrell to discuss your fears, get more information and become comfortable with him and his staff. No dental procedures will be performed during this appointment — just relax, ask questions and share your desired outcome. We can get you back on track to superior oral health. A $500 value! And yes, it can be used in combination with our other dental specials. Patients feel completely relaxed, but they are aware and maintain movement control. The anxiety response is neutralized. Common triggers like the sight of the instruments have no effect. The gag reflex is inhibited. Tolerance levels are higher, so complex procedures can be completed in fewer visits. Sedation patients remember little or nothing at all about their treatments. The ability to receive routine dental care is restored, greatly improving one’s overall health. Feelings of anxiousness can psychologically contribute to sensations of pain. 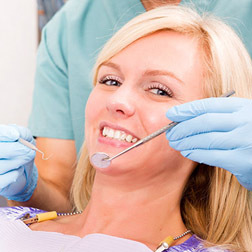 Thank goodness modern sedation dentistry techniques are capable of putting patients at ease no matter how severe their anxiety may be. In many cases, patients awake from their sedated state with a brand new smile and no recollection of the procedure whatsoever. If you would like to know more about sedation dentistry, call 704-541-9888 or use the contact form to schedule a free, no-obligation consultation with Dr. Harrell. 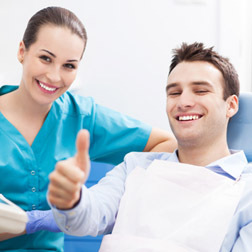 He will be happy to discuss both the sedation and dental procedure options available to help you smile with pride. During your consultation, a complimentary digital smile preview (an $85 value) will be created to show how you will look when your stress-free treatment is complete. Going to the dentist shouldn’t be a stressful experience. Set an appointment and let’s discuss your sedation options.